Starter for Ten: What would you do if rats invaded Halstead? 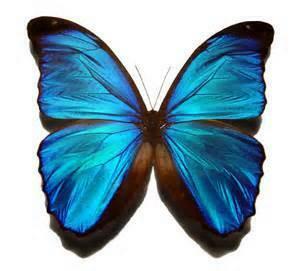 This half term we are learning all about rainforests. We have been busy turning our classroom into a rainforest. We have made vines, leaves and trees. We have also brought in some rainforest animals from home! In Literacy we have been learning how to improve our descriptive writing. We have written stories about the rainforest making sure that we have describe all five senses. This is a story map and story mountain of the story 'The Kapok Tree' which we have read in class. GPQ: Can you remember the story using the story map? 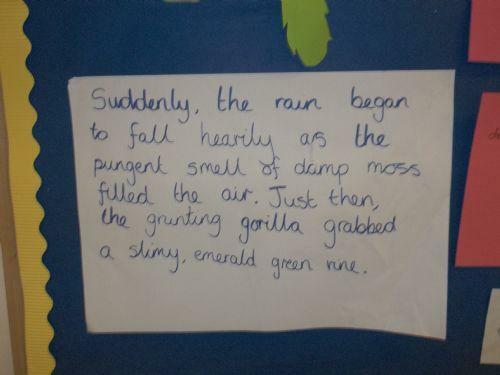 This is a piece of descriptive writing the class wrote together making sure they described the senses to allow the reader to imagine they are in a rainforest. GPQ: Read our writing to someone else and see if they can imagaine a rainforest! 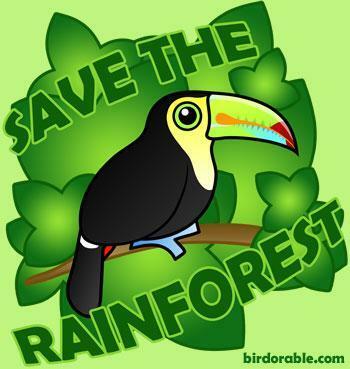 <<< Click here for fun rainforest activities! BBC Schools Bitesize Science Use these simulations and quizzes to test your knowledge of science. Ladybird Maze Guide the ladybird through the maze using your arrow keys.